Do you have extra scrap metal at your industrial plant or manufacturing facility or from your contracting projects in Utah? Durbano Metals can help. We offer both industrial scrap metal pickup and cleanup and can often retrieve your scrap metal quickly with our same-day container service. With industrial and commercial projects, you often have a lot of scrap metal lying around. Don't just throw it away. Durbano Metals can easily clean up your plant, facility, or site, leaving you with less to worry about and helping the environment as well. Our experienced industrial scrap metal cleanup experts quickly and effectively visit your site and clean up the mess of scrap metal in no time. Don't let your scrap metal go to waste. With our large fleet of roll-off containers, flatbed trailers, and end dump trailers, we pick up, haul away, and process any size or type of scrap metal, including large loads that other companies won't touch. Additionally, we offer same-day service so you won't have to wait around with your scrap metal cluttering your site or facility. We recycle all scrap metal locally at Nucor Steel. This ensures that all recycled materials benefit local businesses and industries by keeping the scrap metal here in Utah. We specialize in cleaning and picking up scrap metal from local industrial and commercial businesses. 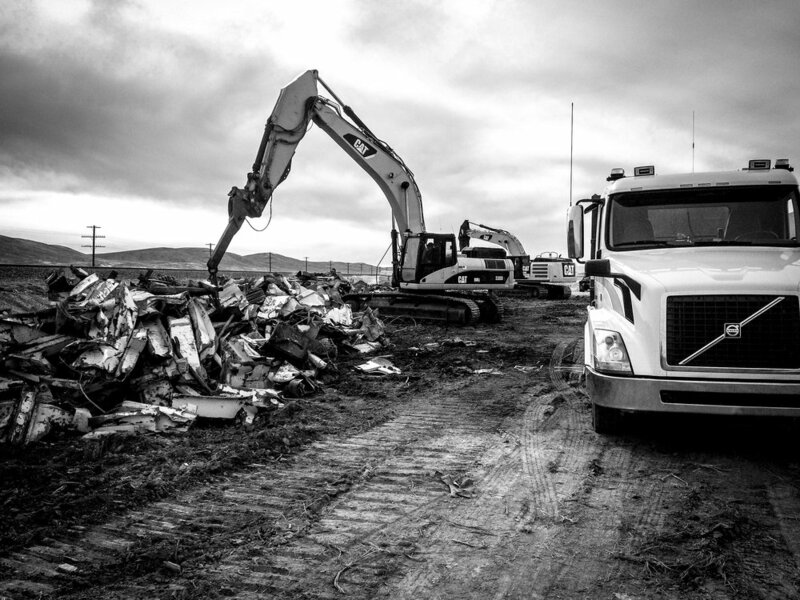 With nearly 45 years of experience, we know the ins and outs of efficiently and effectively processing, handling, and recycling scrap metal. In addition, we are a part of the Institute of Scrap Recycling Industries and a BBB-accredited business. Please note that we do not pick up scrap metal from the public. Please call 801-621-5221 for your pickup or for a free quote today.